This is the insider's guide to getting published sucessfully. The secret to making money from your fiction writing is not only in the quality of your work but your approach to the publishing process: in this book an industry professional shows how to make the system work for you. Advice is here from almost the moment you pick up the pen - identifying the market for your work - to working constuctively with your author or agent, safeguarding your rights, negotiating and understanding contracts, and understanding how you book will actually be sold. 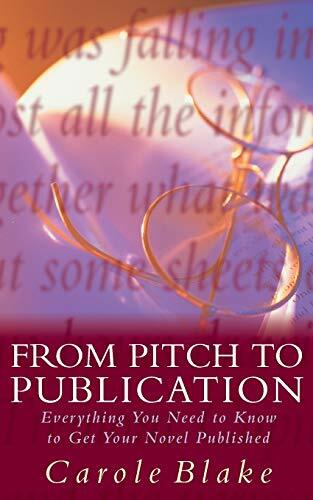 "From Pitch to Publication" is the complete guide to presenting yourself effectively to publishers, and navigating the periods before and after publication for continuing success.